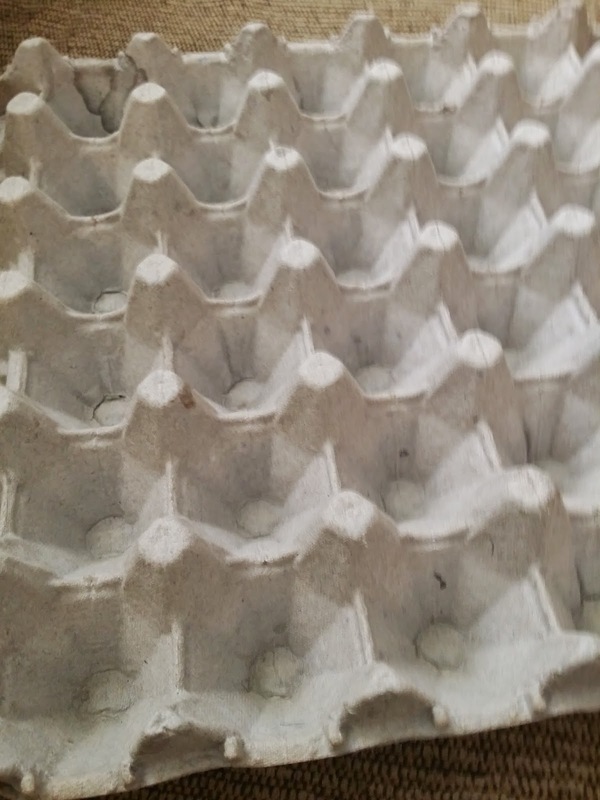 Hi everyone, I'm so sorry for not posting anything for the past couple of months. 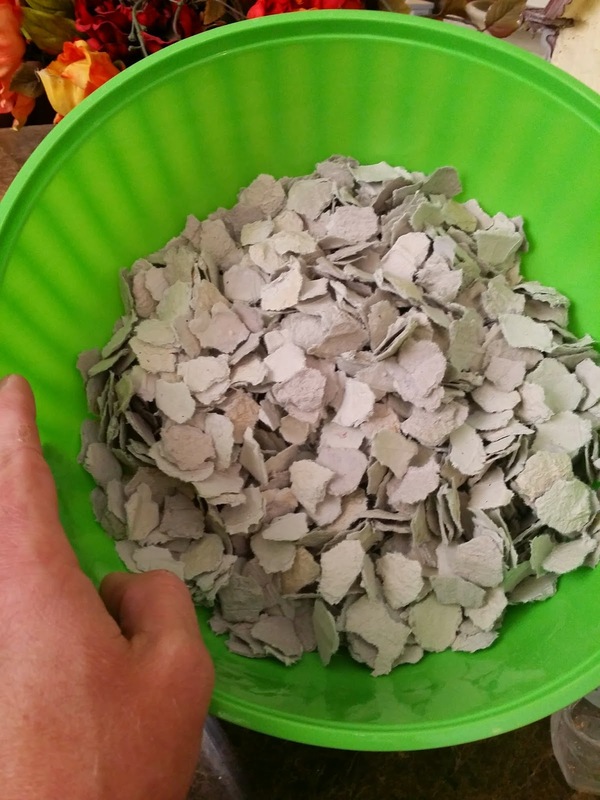 I've been very busy between many camping trips and my annual rock hunting trip to Idaho and work. 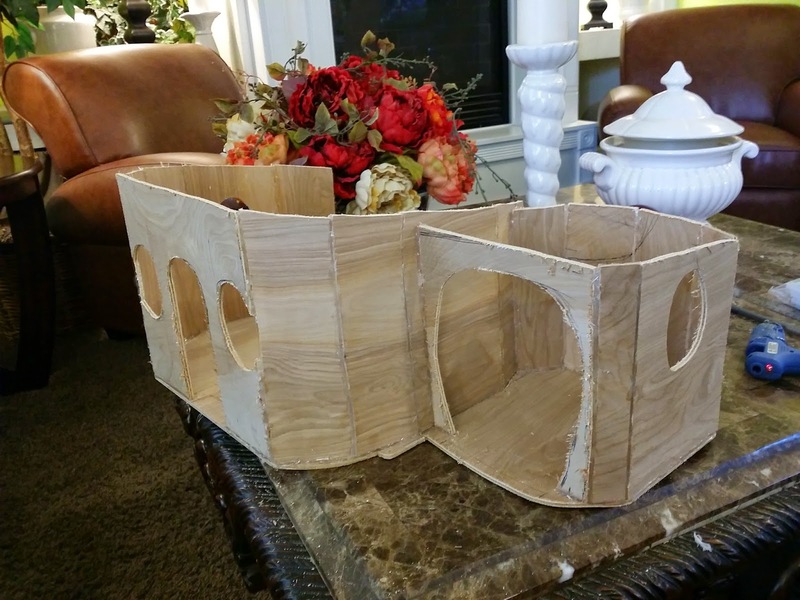 I thought today I would post as many things that I have been working on in the past couple of months. 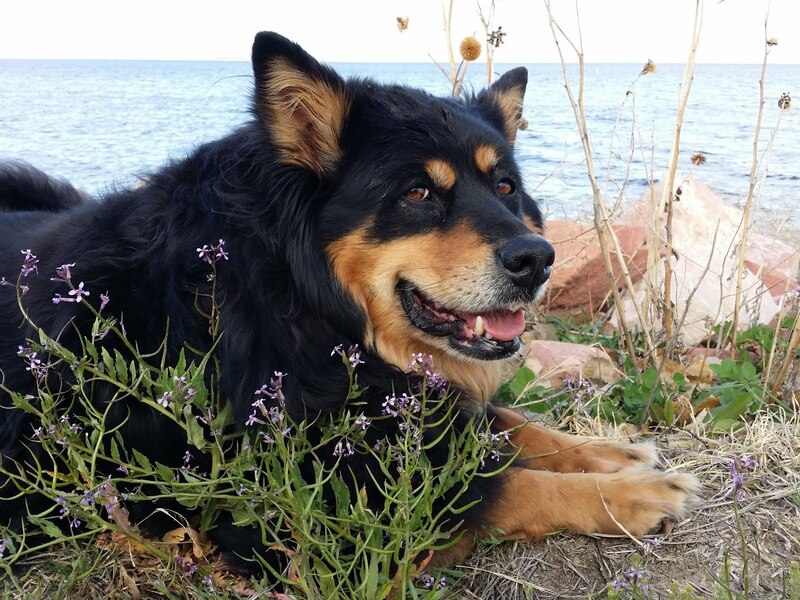 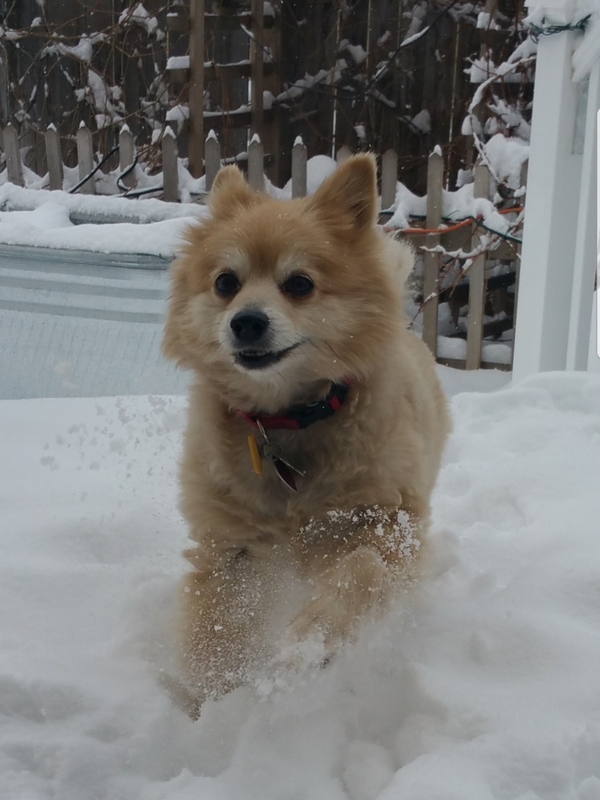 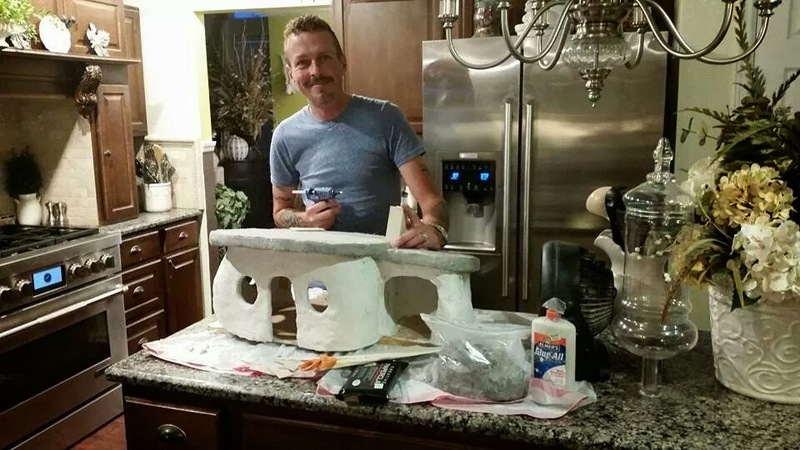 I have 4 separate post I just posted to show you. 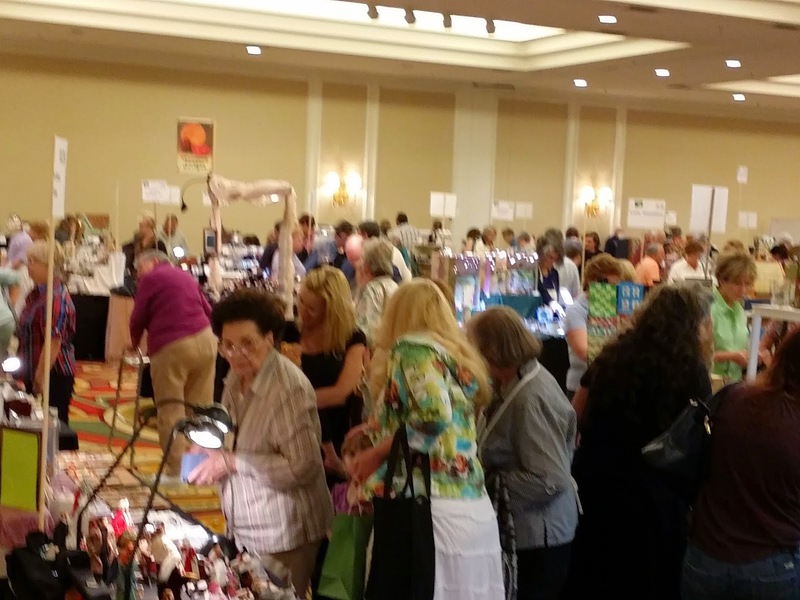 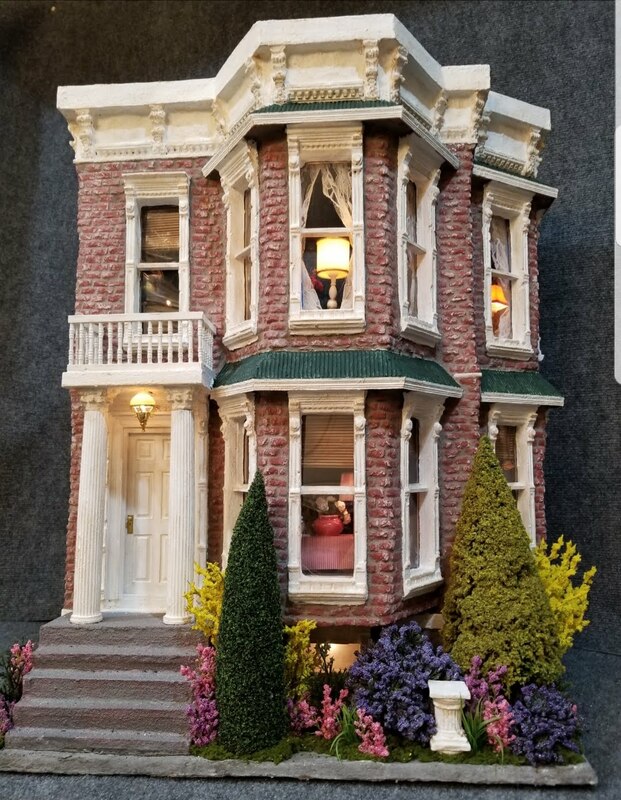 I have been trying to make many miniature items to sale at my first sales table at the Denver Miniature Convention that is this weekend September 7th and 8th, and trying to get ready to do all the fun dinner banquets starting tonight and through the weekend. 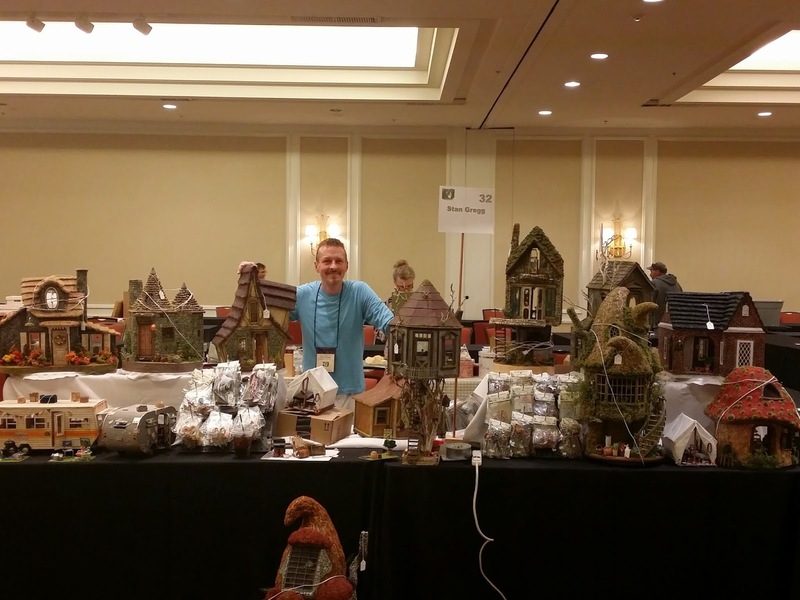 Getting excited to see and meet the miniature people who inspire me at the show. 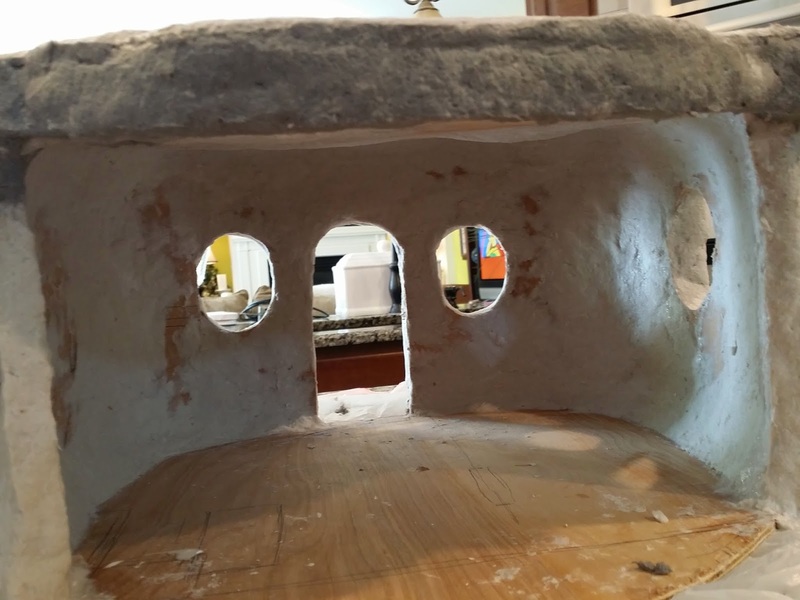 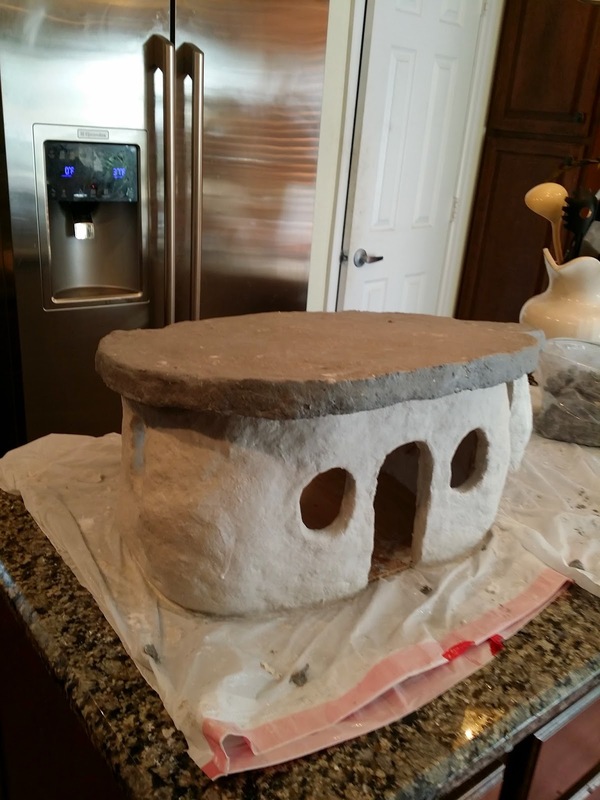 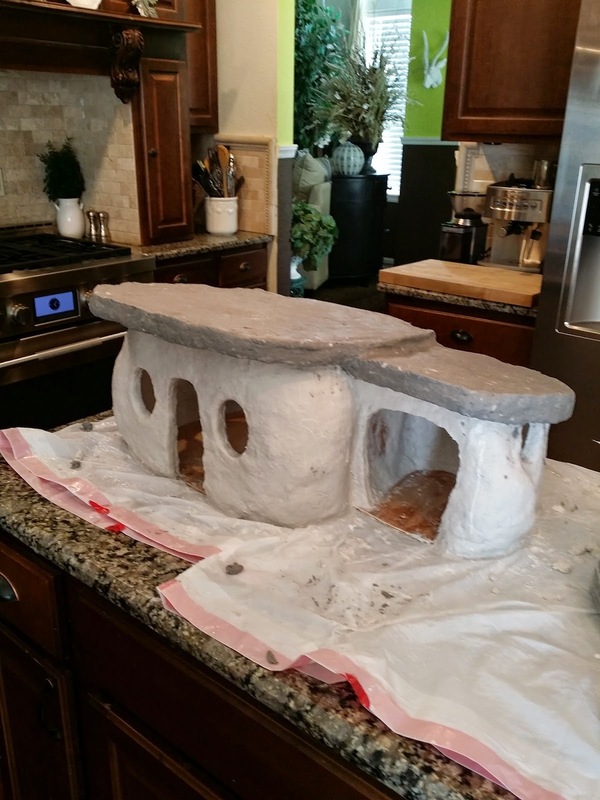 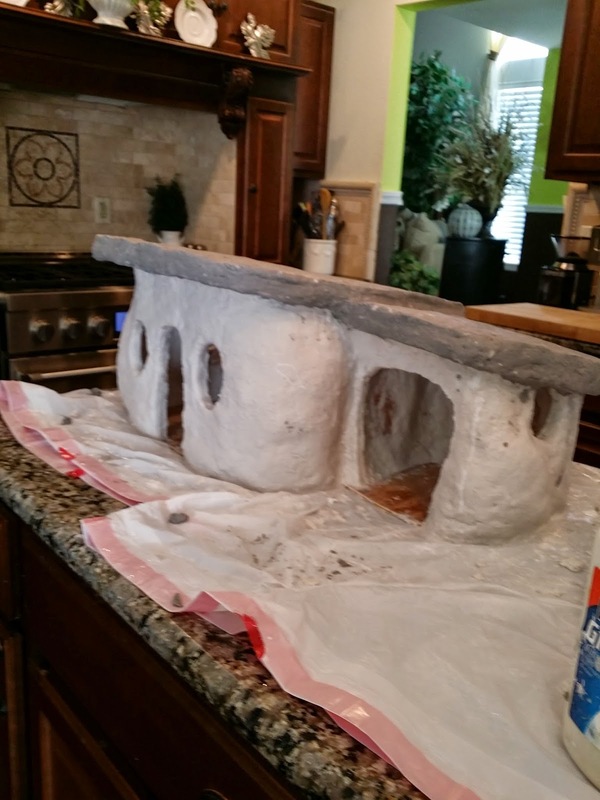 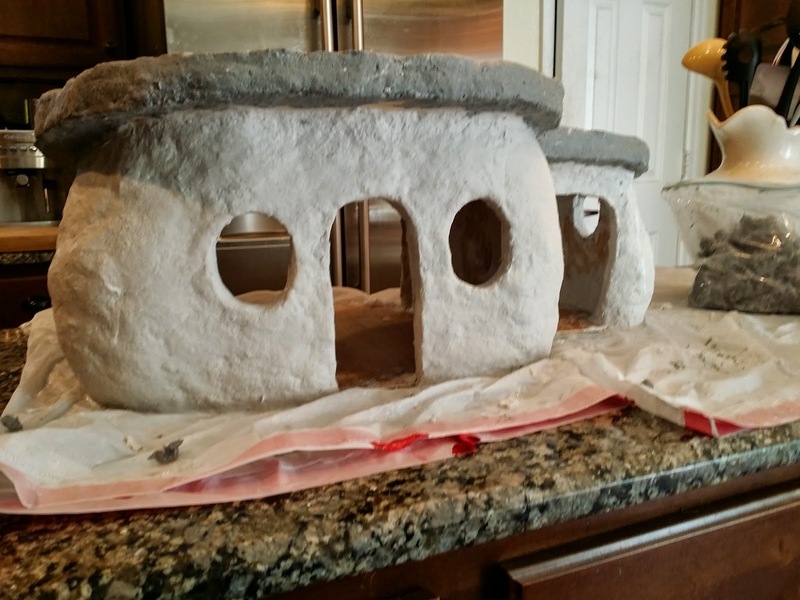 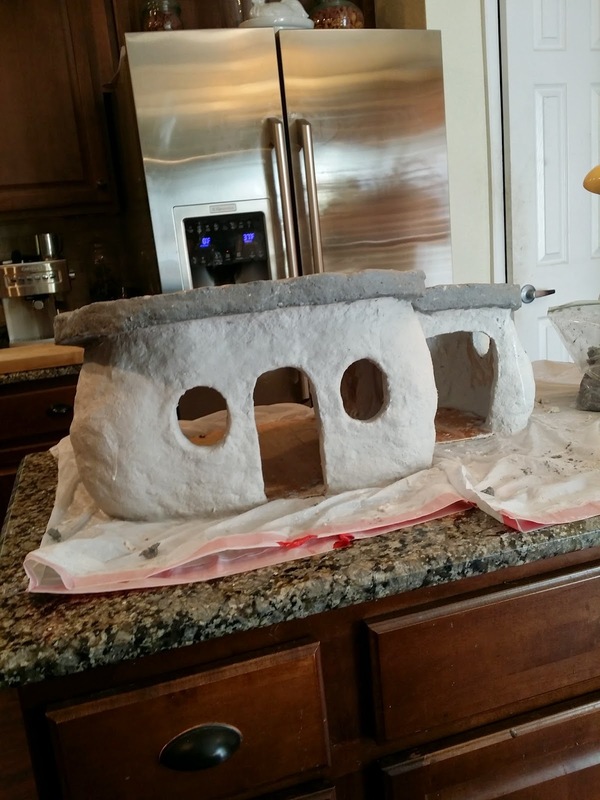 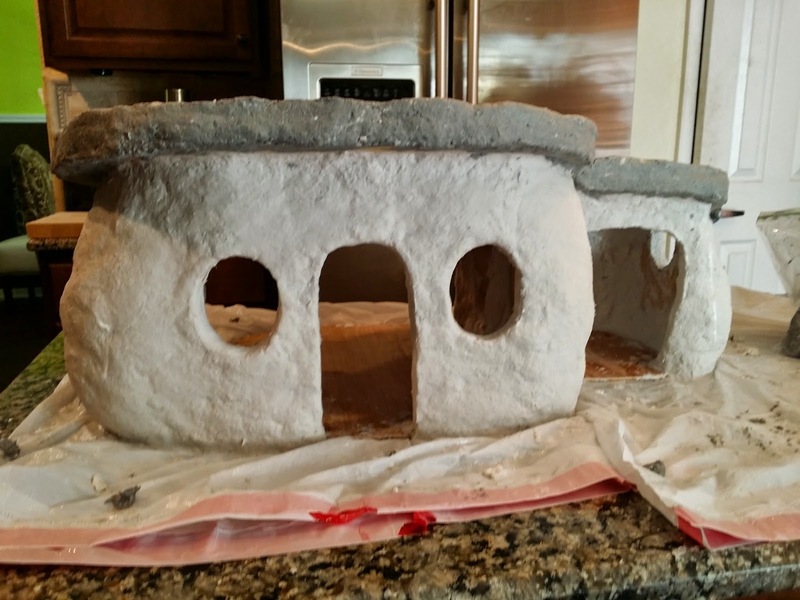 Currently I just started the Flintstone House that I am trying to create from a picture of the cartoon I found on the internet. 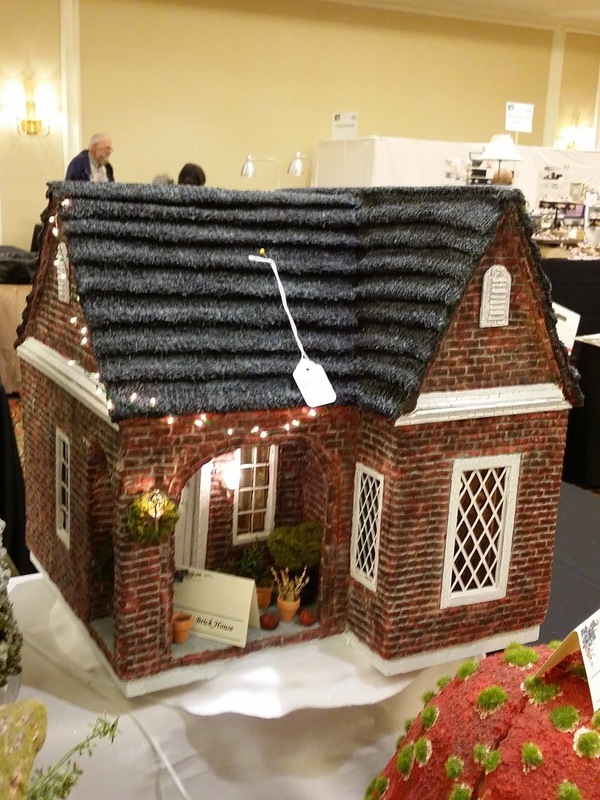 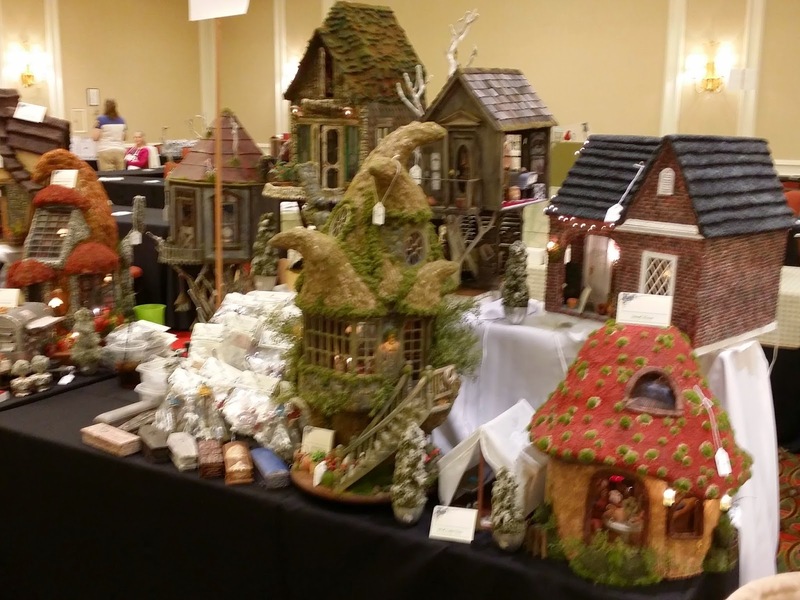 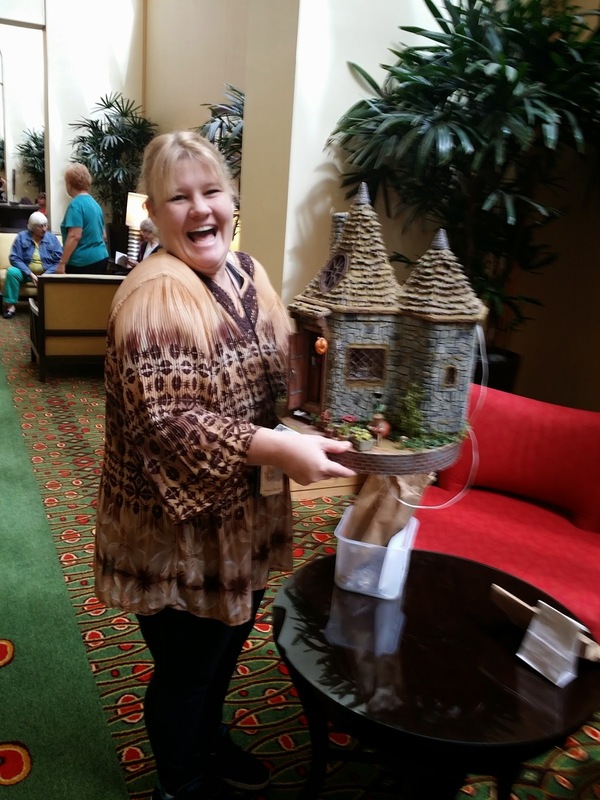 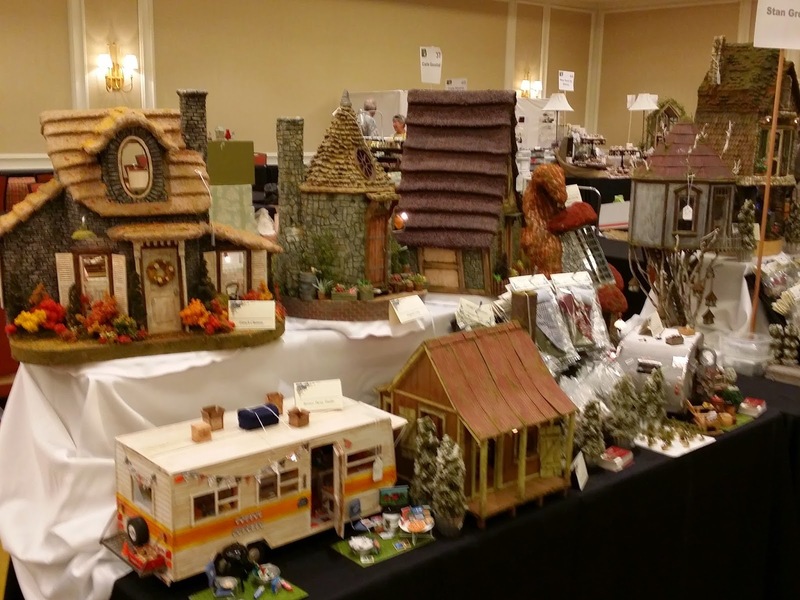 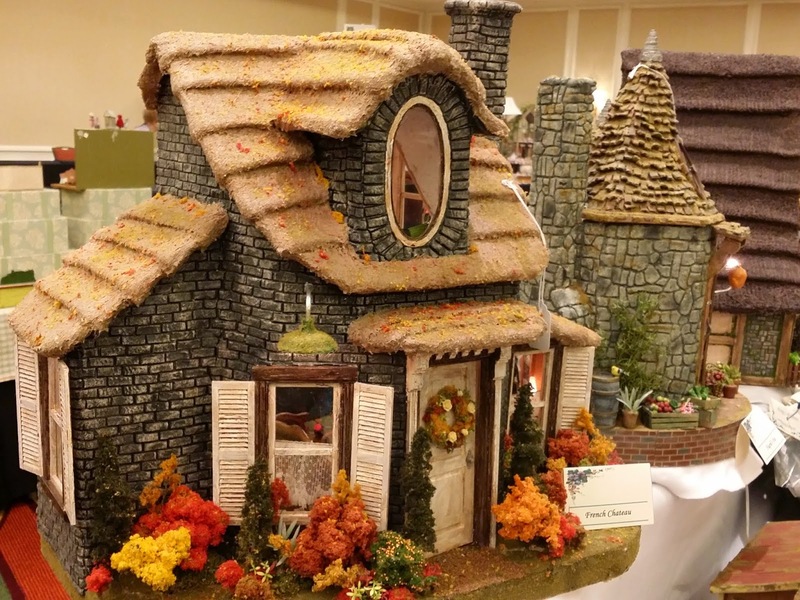 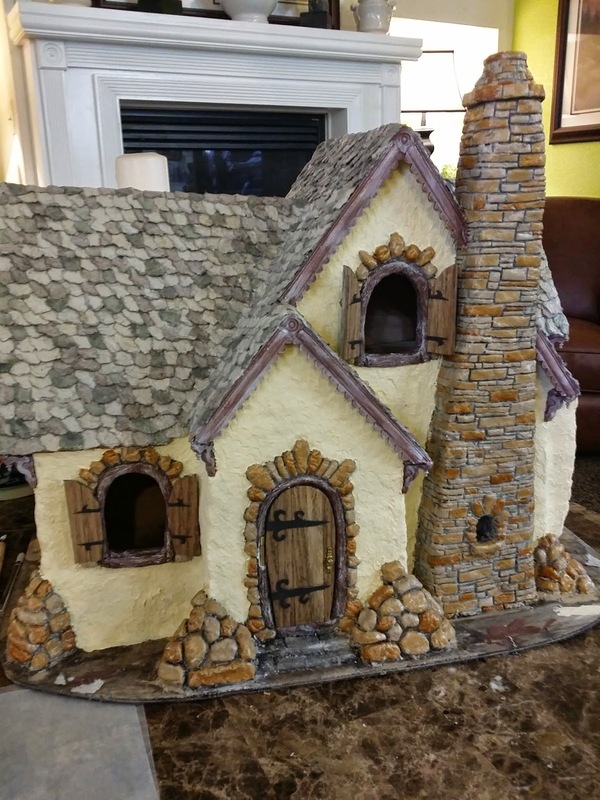 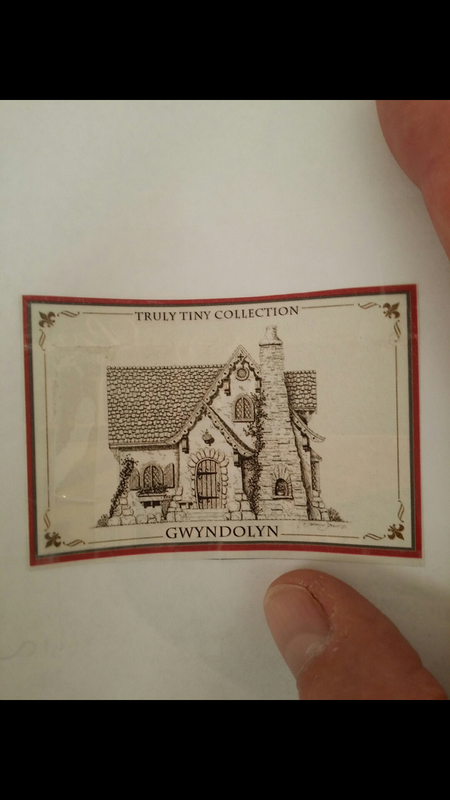 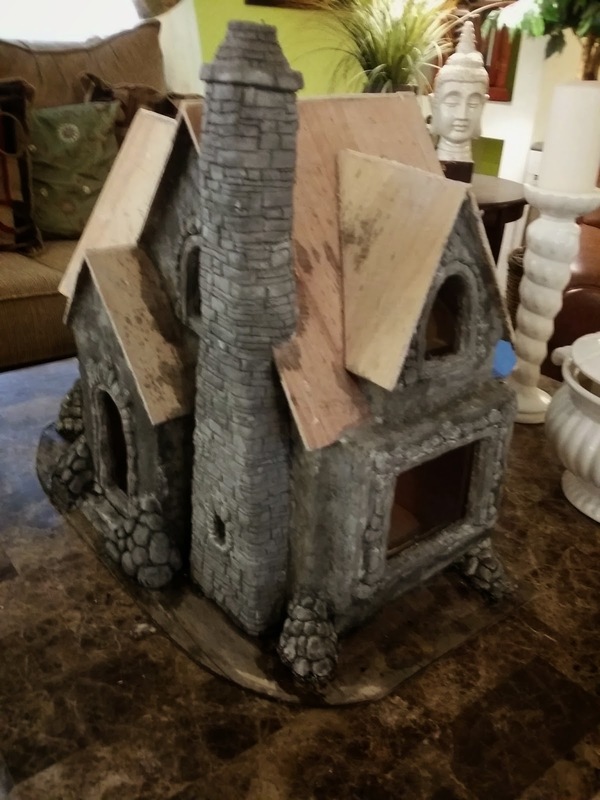 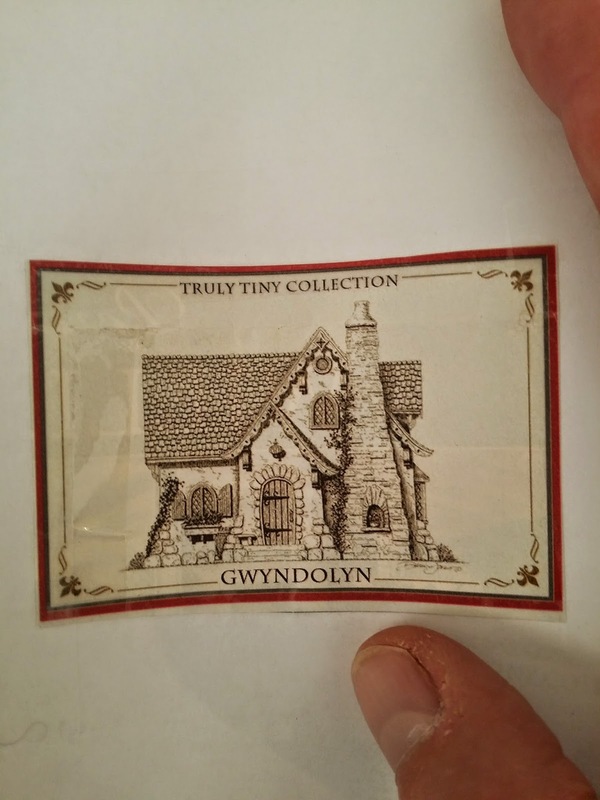 Plus I thought I would throw in some pictures of all the houses I will have for sale at the miniature show this weekend. 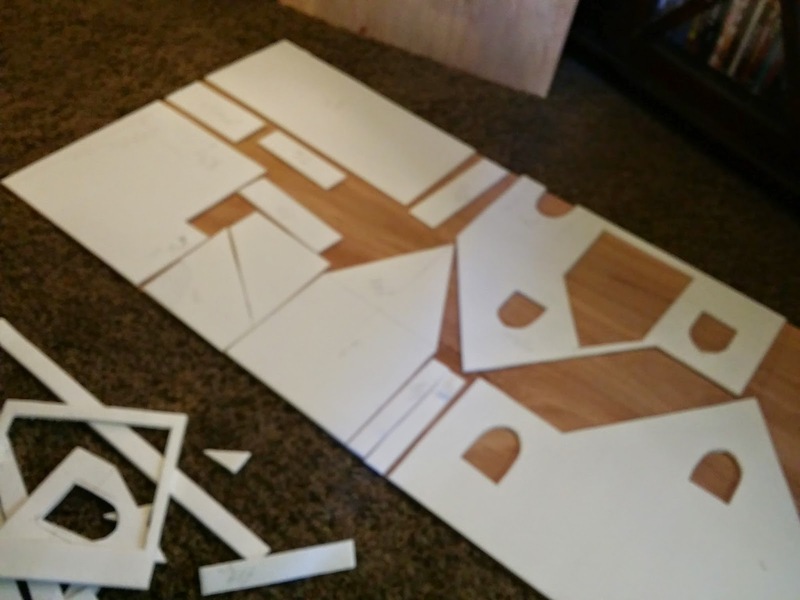 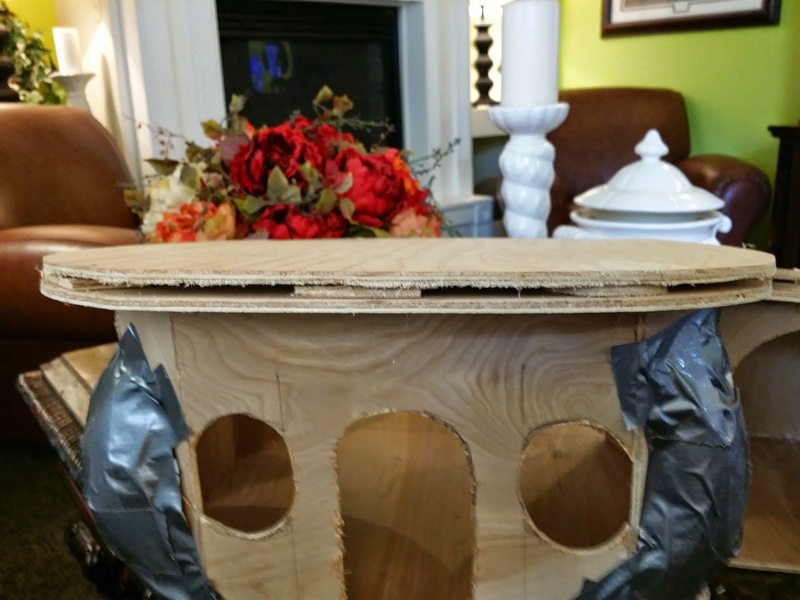 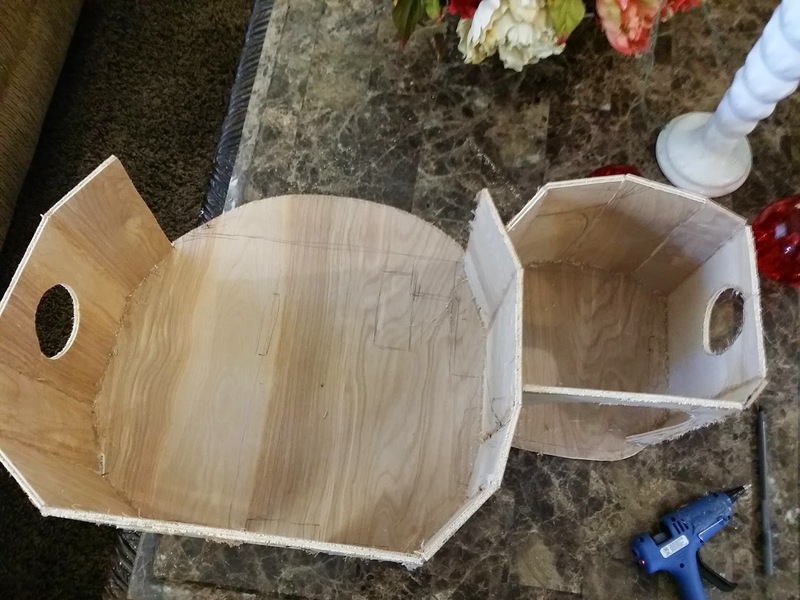 I was trying to set up the display at home on a table to prepare for the 12 foot table I will have at the show. 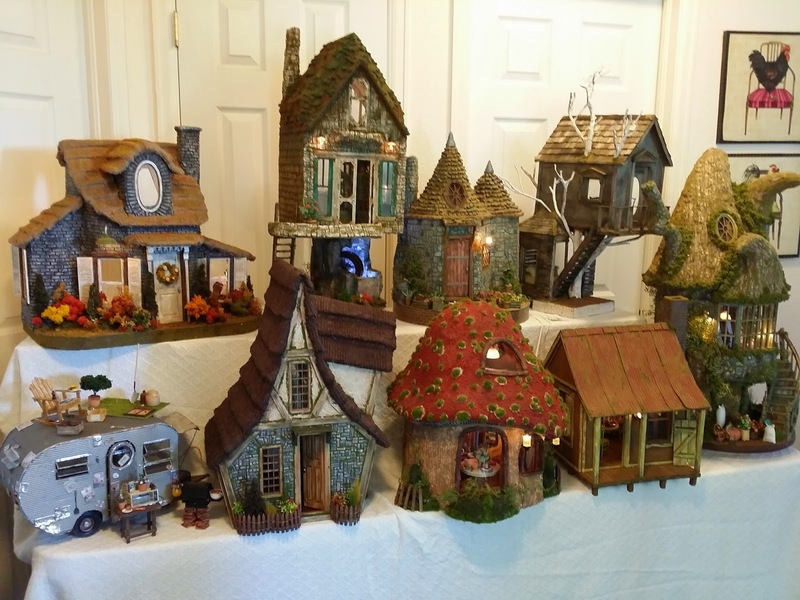 But I have way to many houses to fit on the 12 foot table. 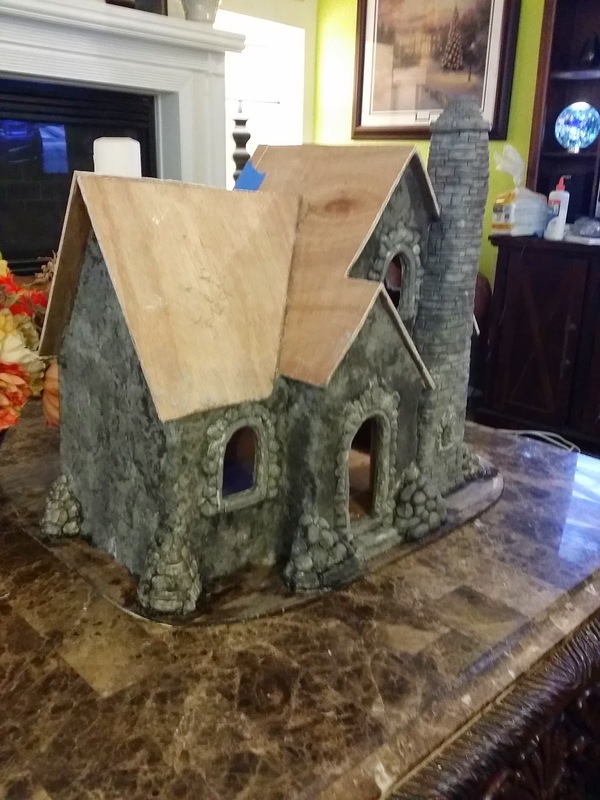 I'm horrified and scared and excited at the same time for the miniature show, and hoping the show goes good, but I admit I'm scared people wont like my miniatures that I created. 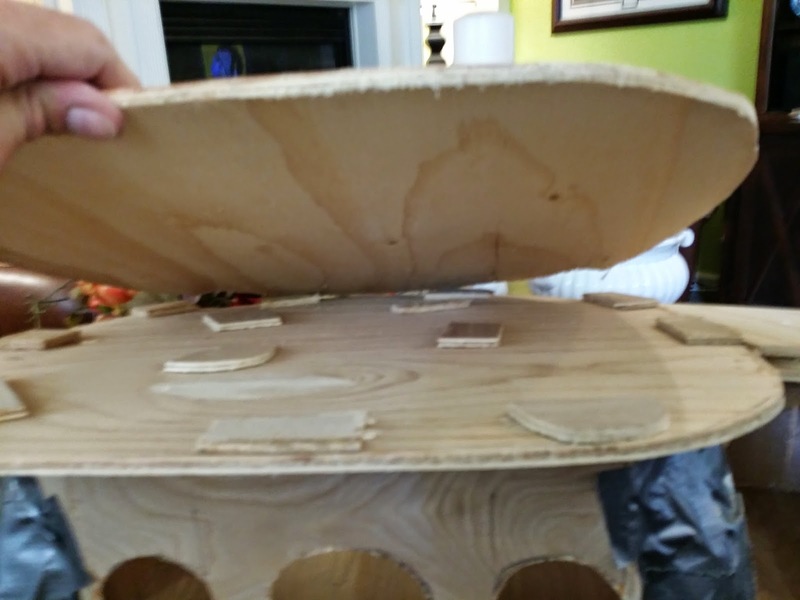 But we shall see. 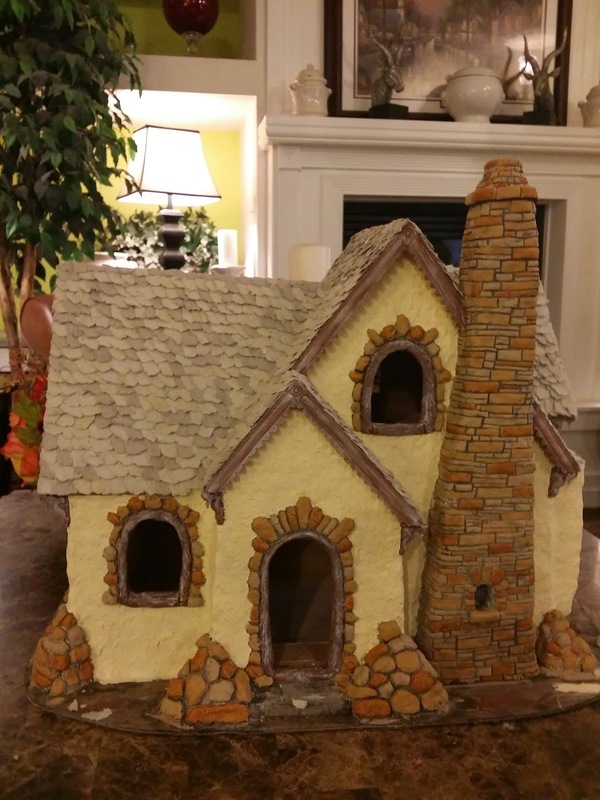 I hope you all have a Wonderful September and I will try to get better at posting my projects. 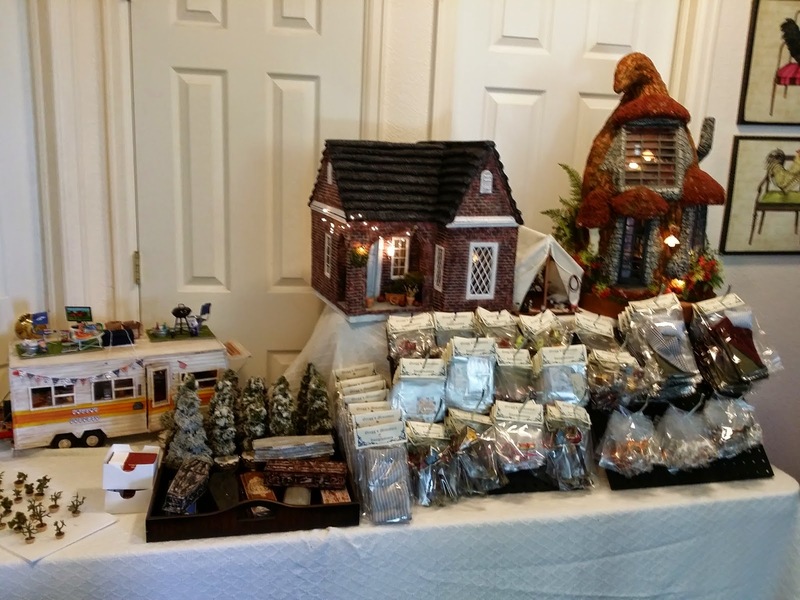 More of the sales table I am trying to figure how to set up at home. 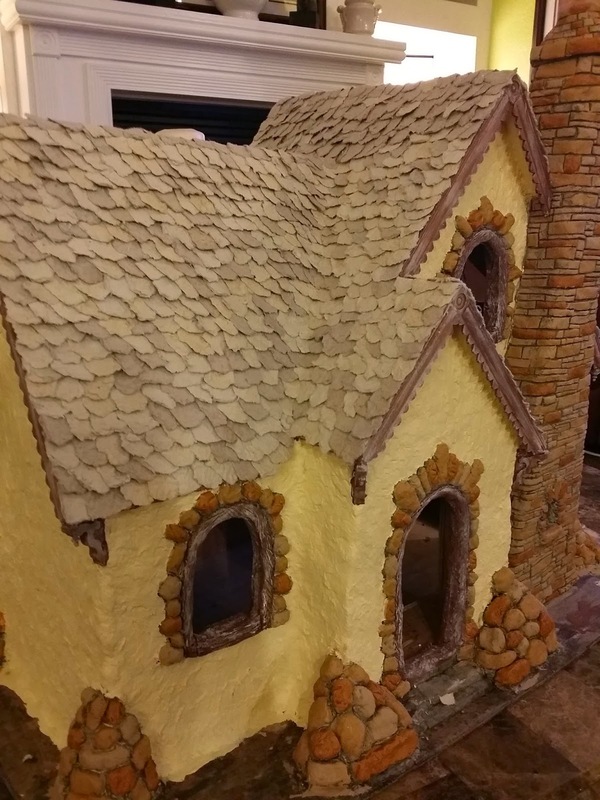 The 3 houses are going into the Miniature Show Exhibit Room. 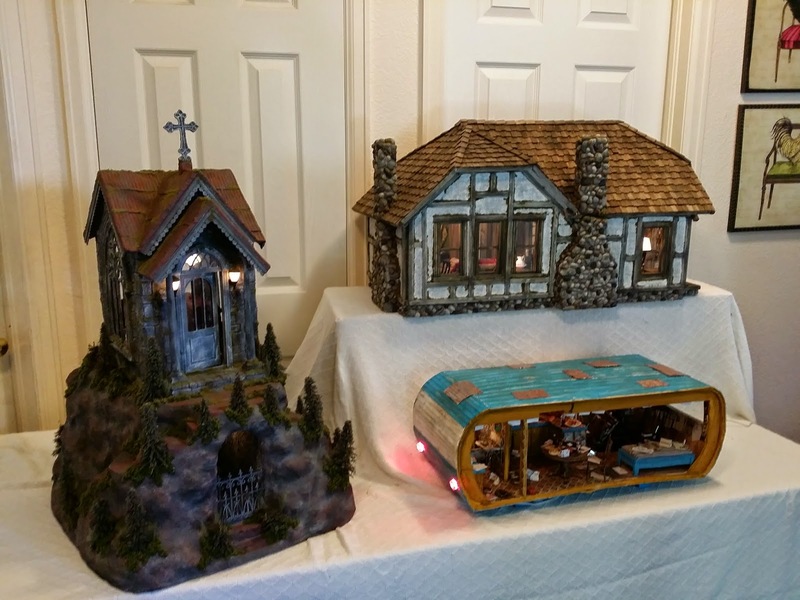 My Christmas House, My Circus Worker Trailer House, and Mausoleum and Catacombs. 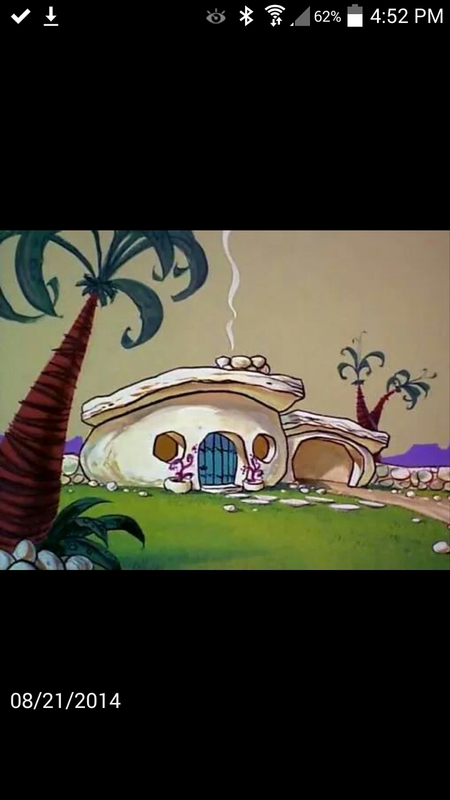 Trying to create the Flintstone House from this little picture on my cell phone. 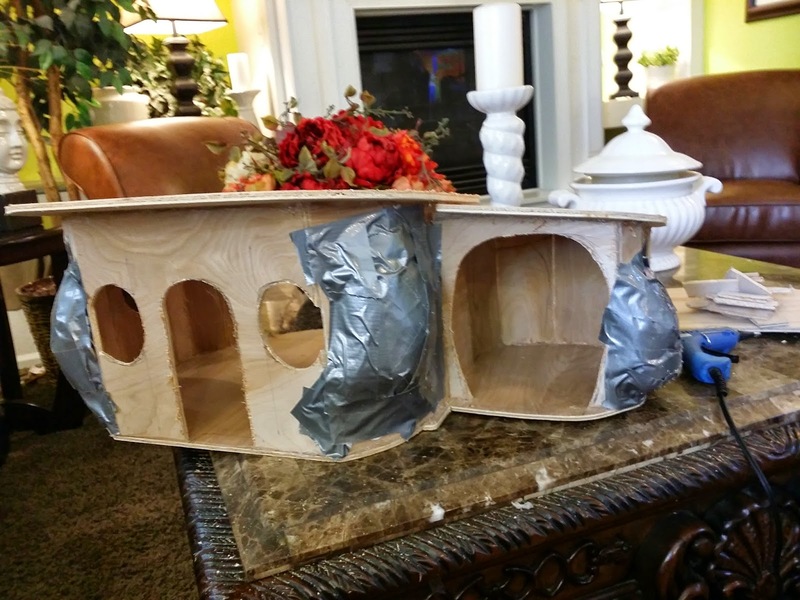 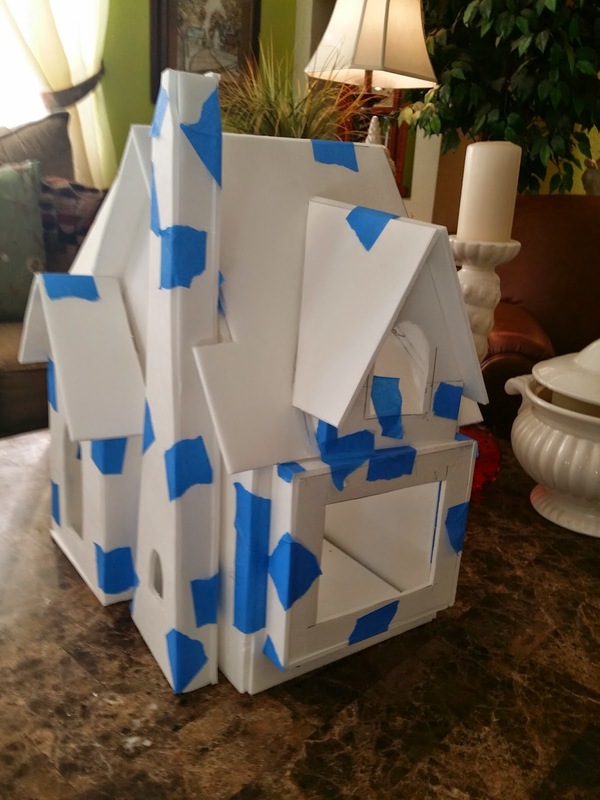 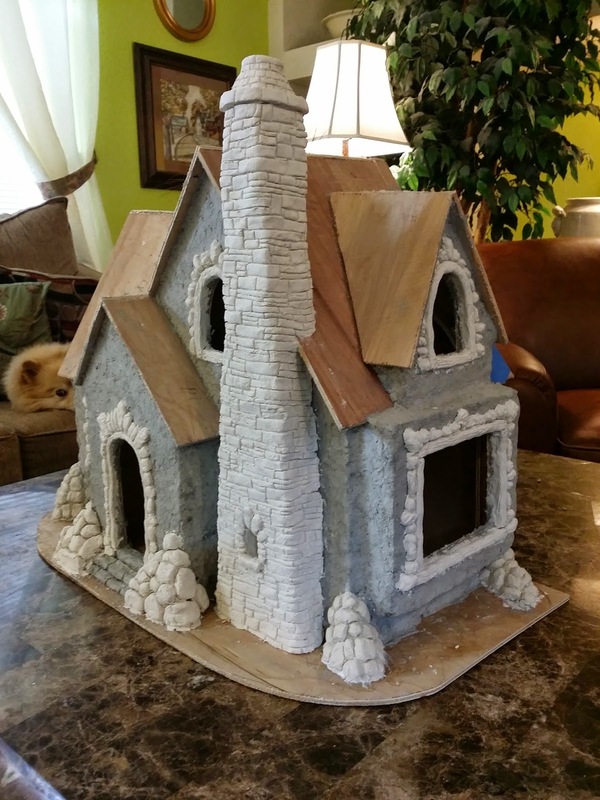 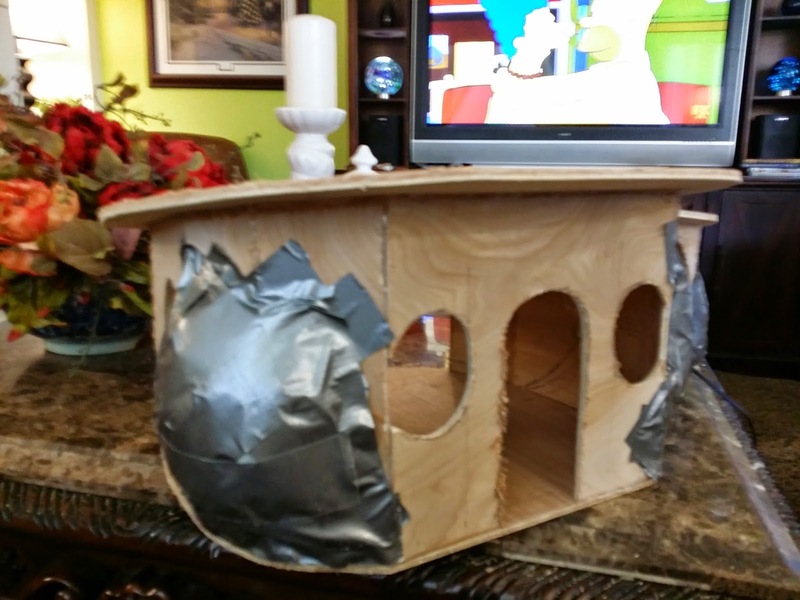 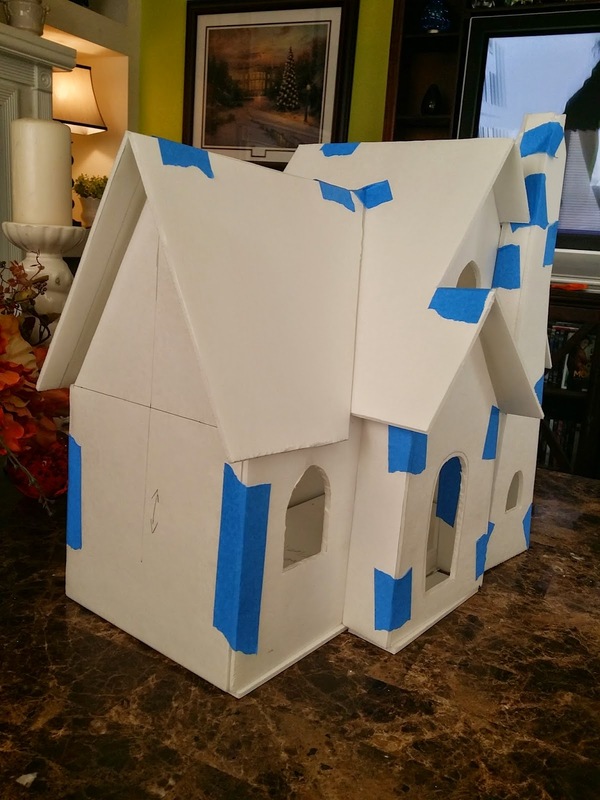 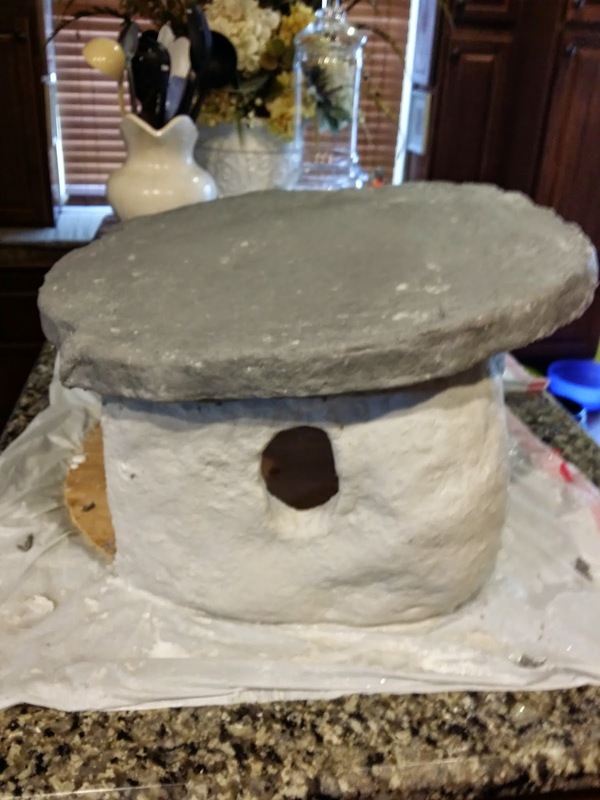 I added plastic bags and duct tape to the outside to give the house the rounded look and to also reduce the amount of paper clay that I will add to the house. 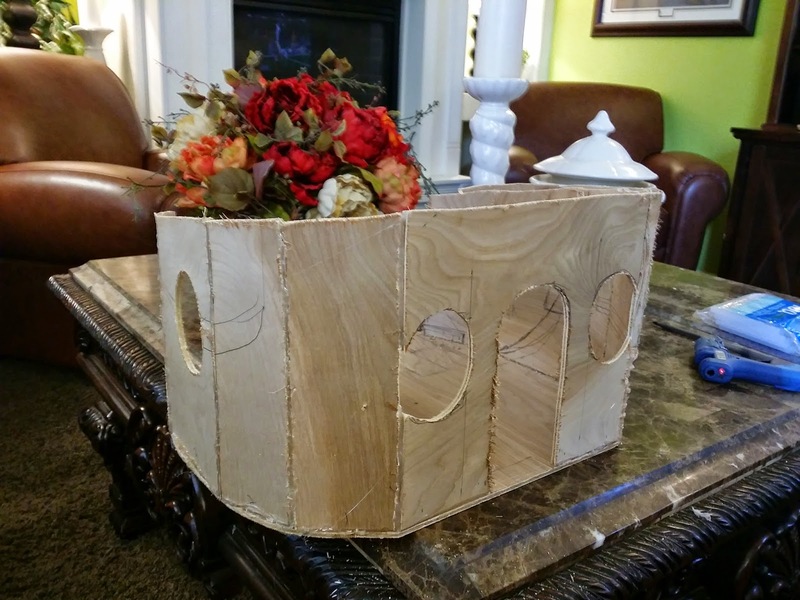 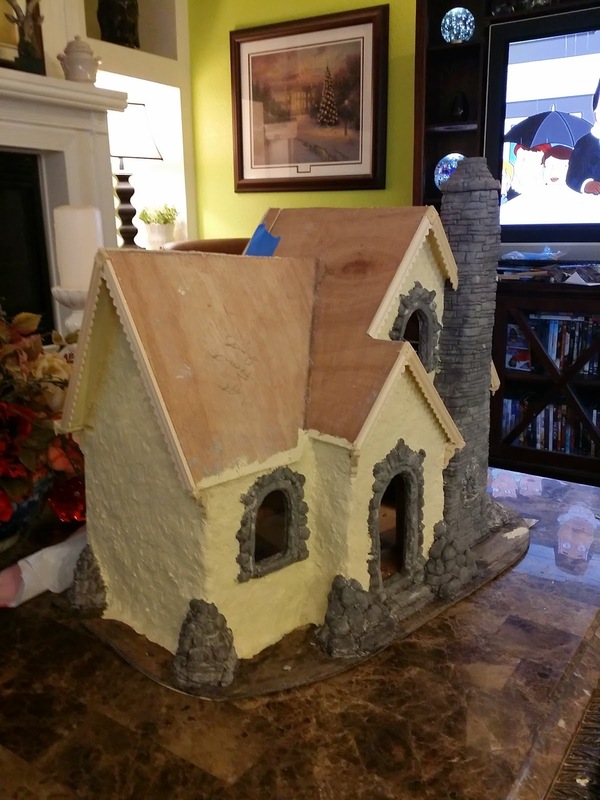 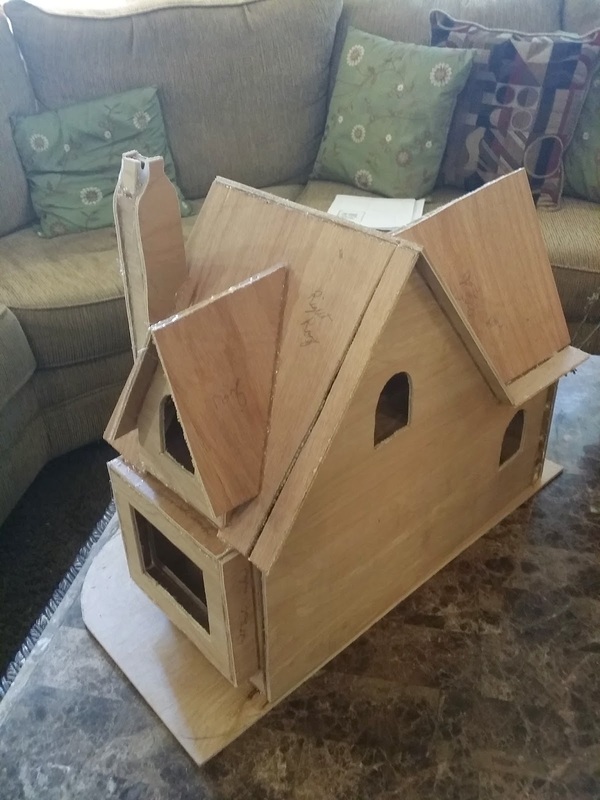 I added a second piece of wood on the roof with spacers to increase the depth of the roof so I wouldn't have to add so much paper clay to get the thickness I wanted. 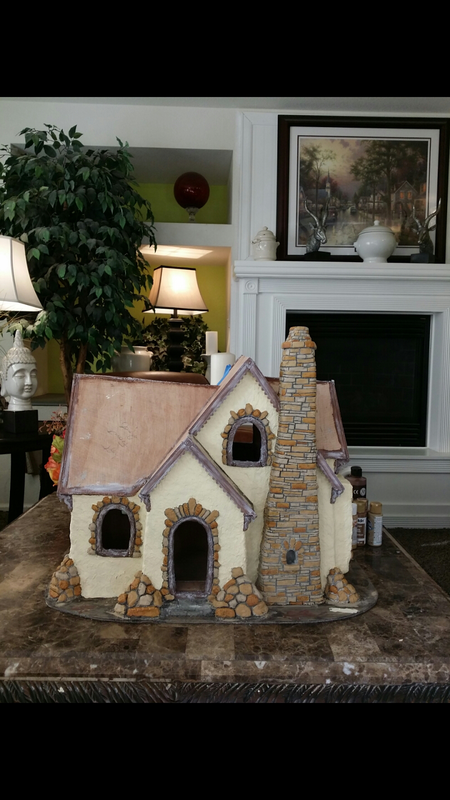 It took me 2 bags of the powdered paper clay mache to add to the house. 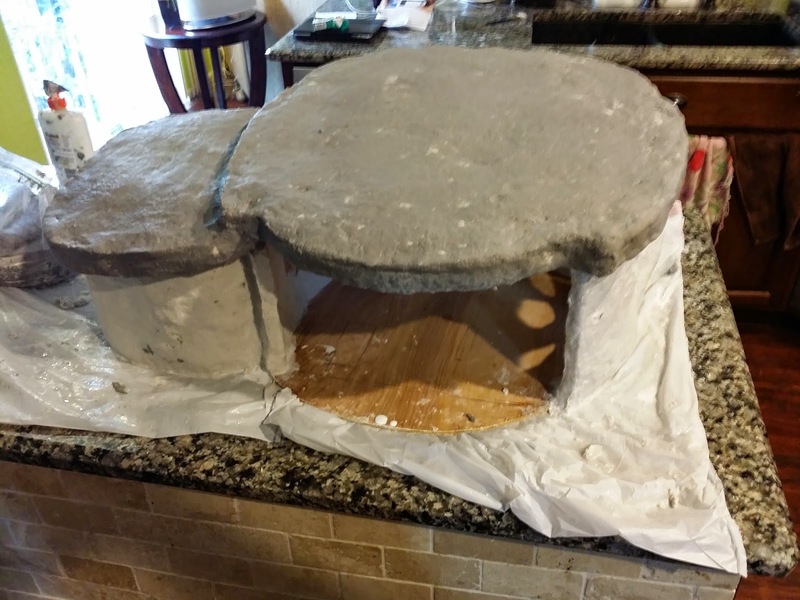 Once it was all mixed up I'm guessing it came to around 40 pounds of wet paper clay. 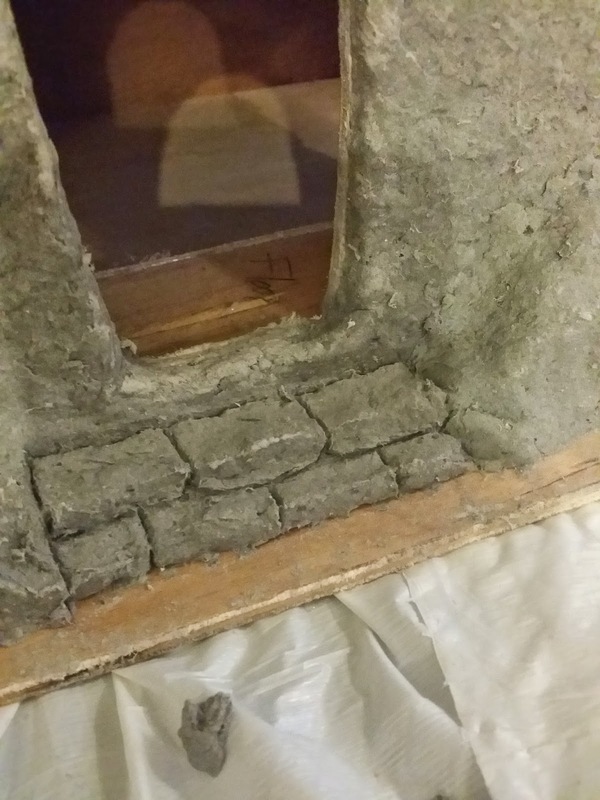 Plus it has been drying for a week now and still drying since it is about 1/2 to 1 inch thick in areas. 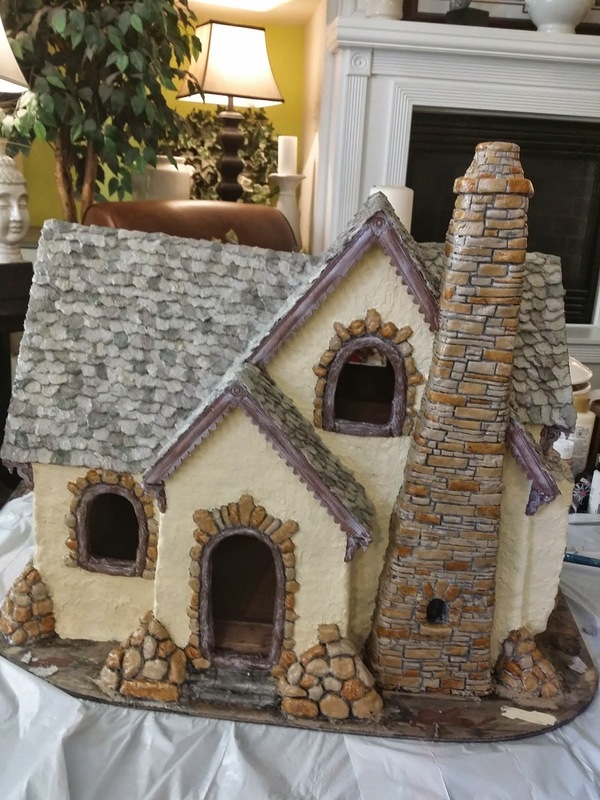 I have to admit adding the paper clay and then wetting my hands to smooth out the house is very relaxing and almost meditative for me. 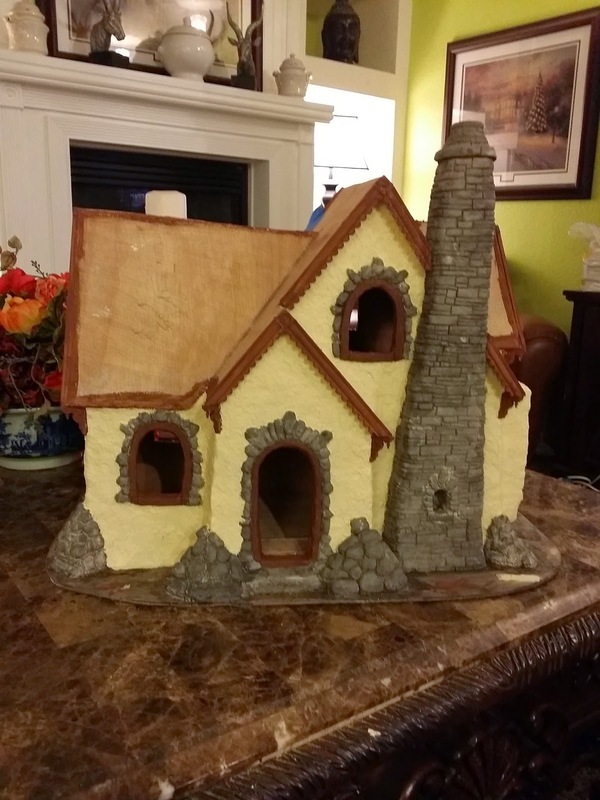 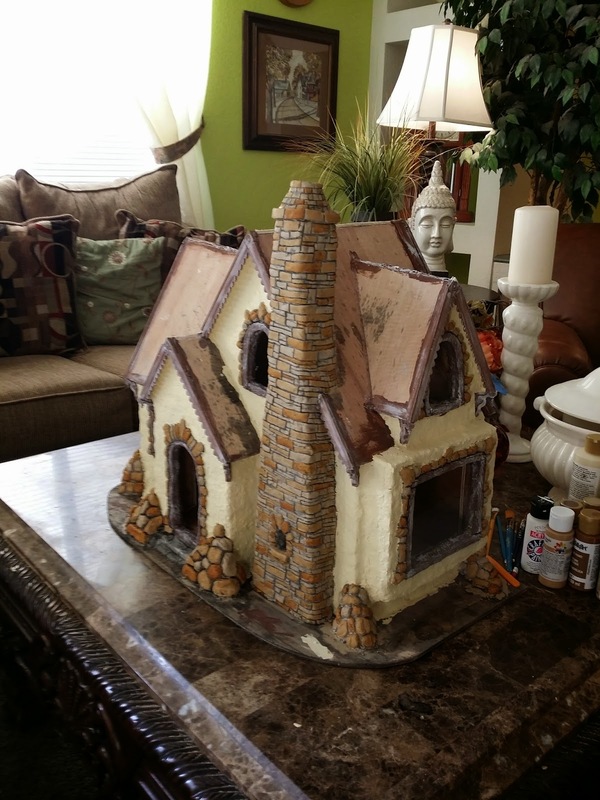 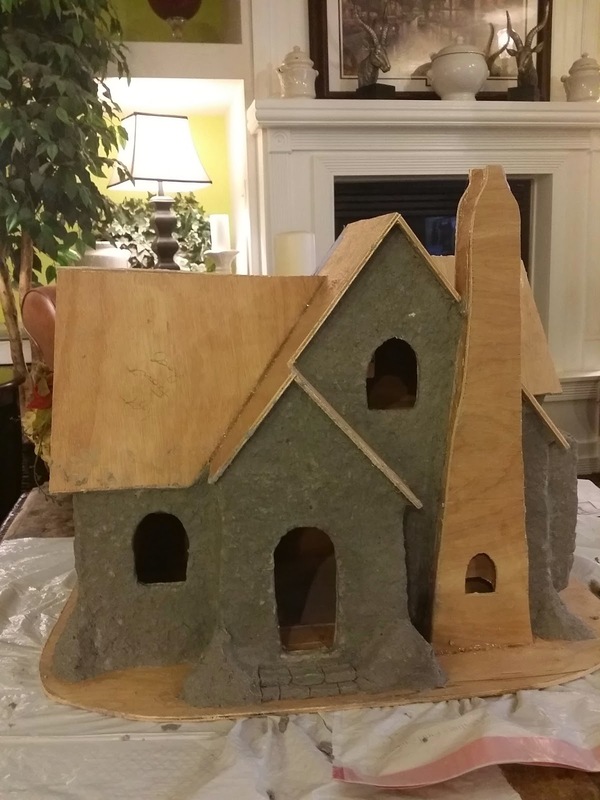 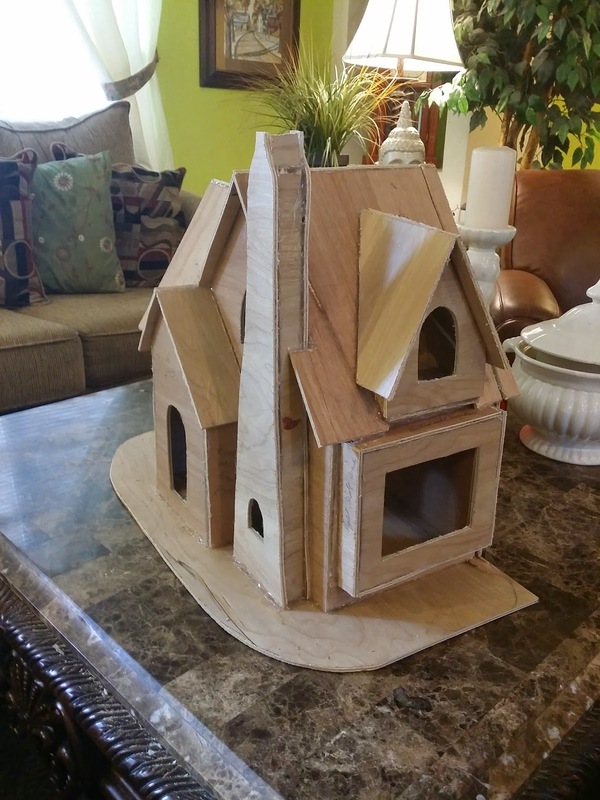 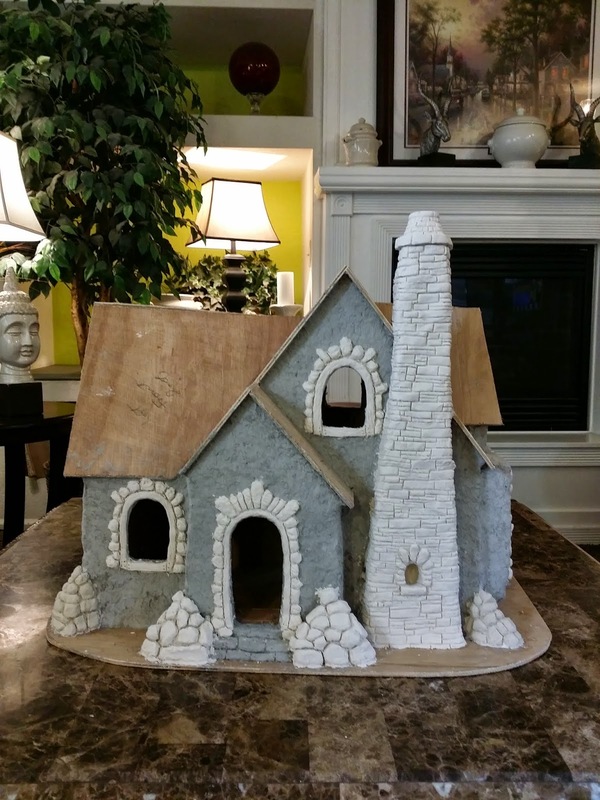 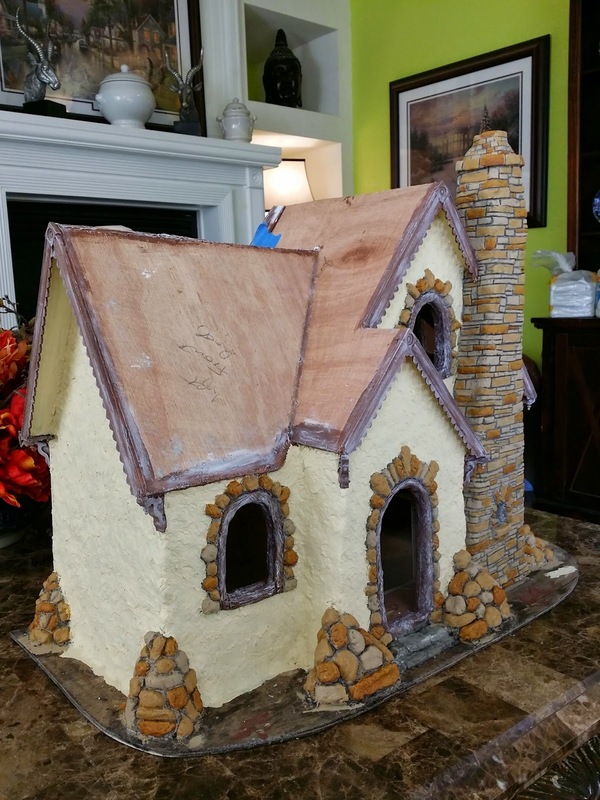 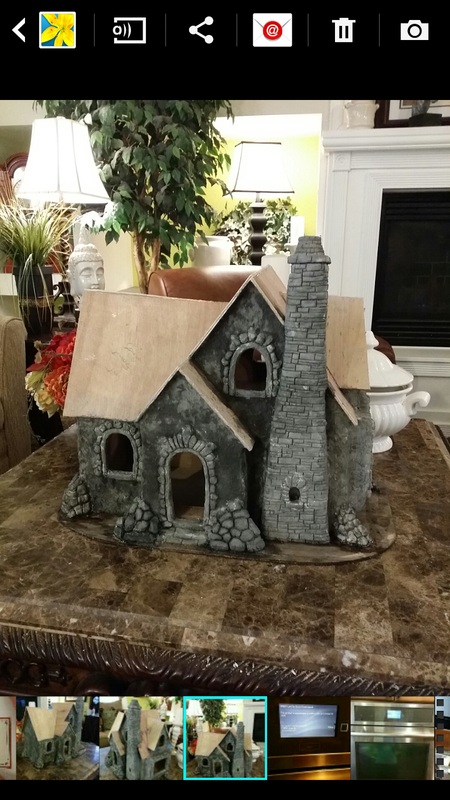 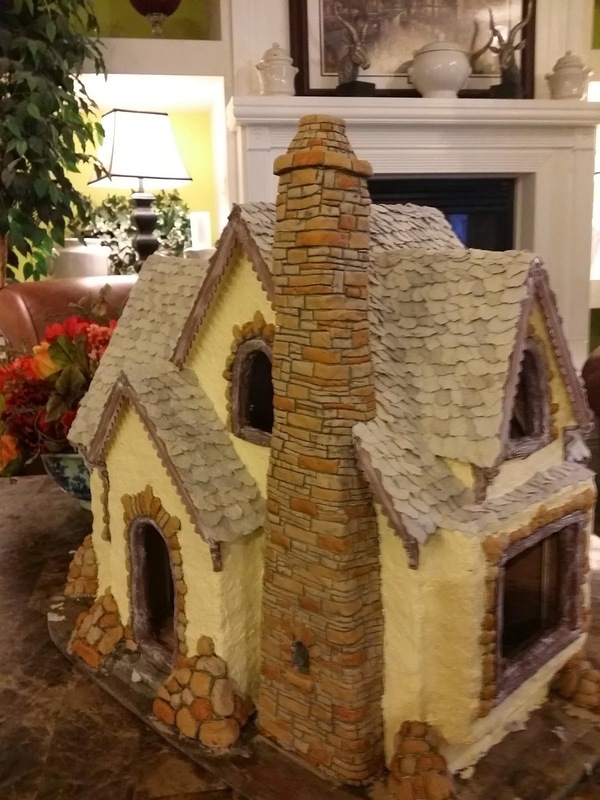 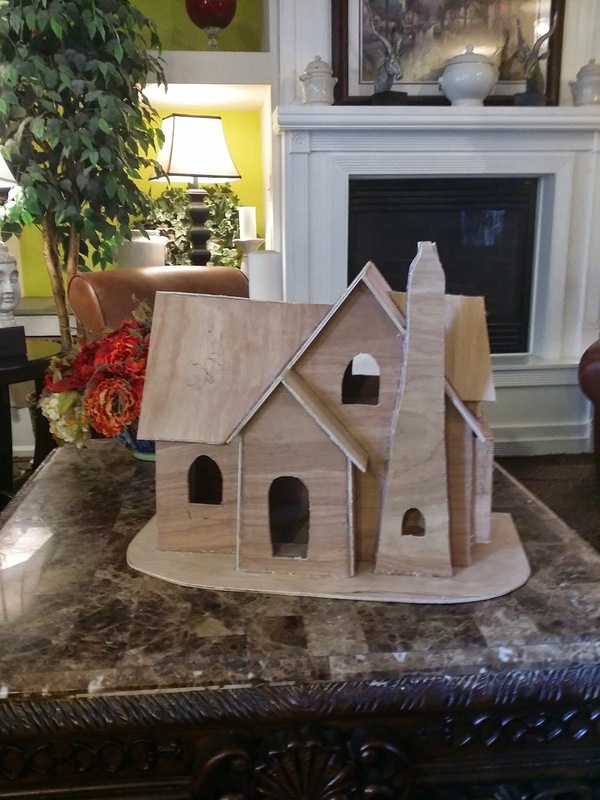 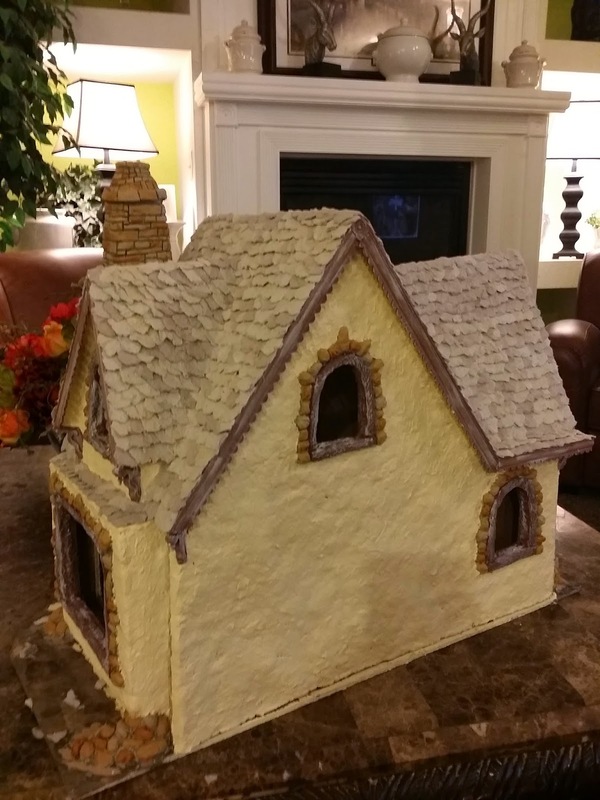 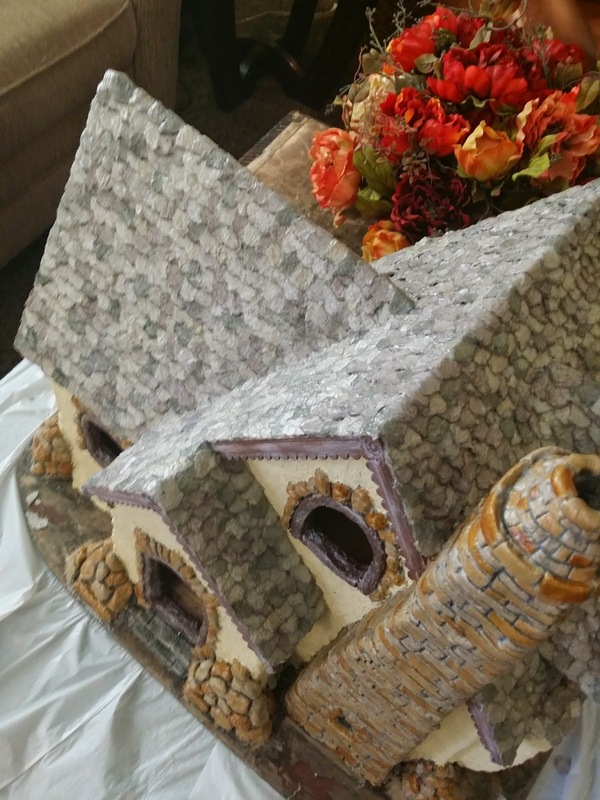 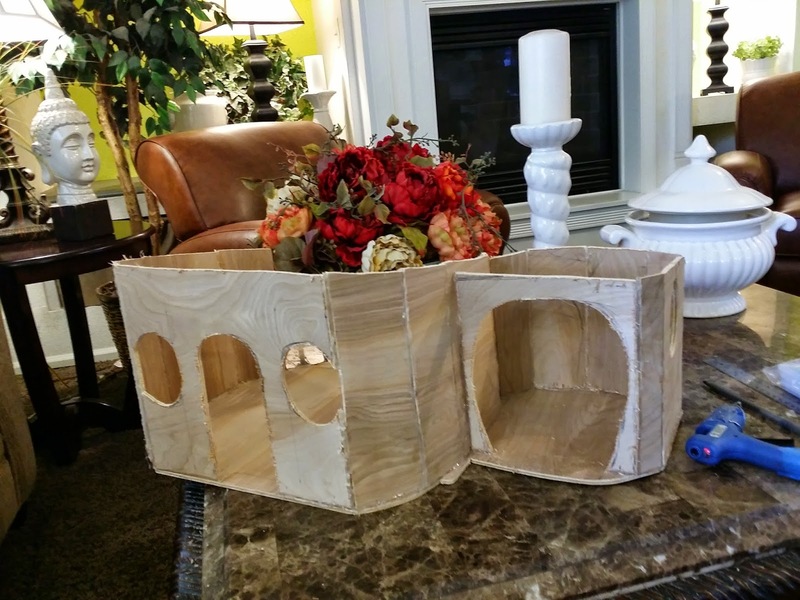 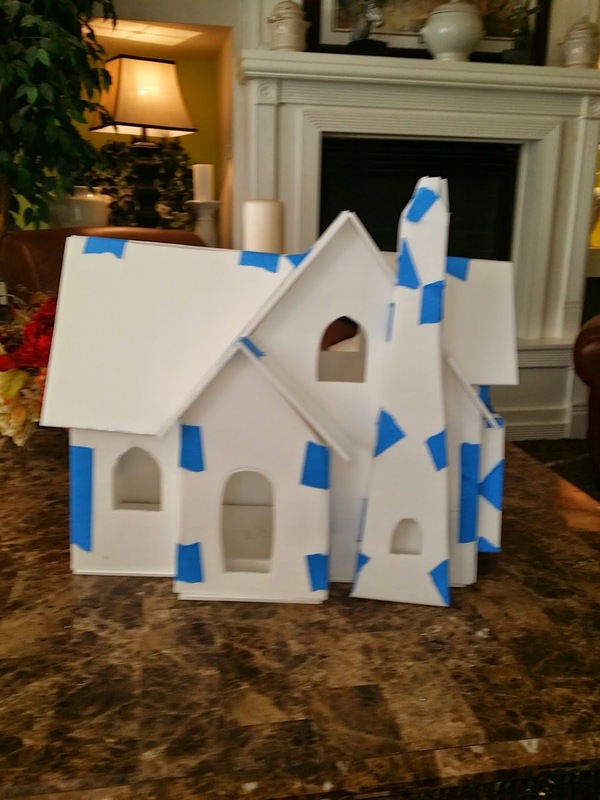 It took me a couple of hours to add the paper clay to the inside and outside of this house.